Why Does Understanding How Fluency Works Lead to Success? When you start out on your quest to learn a language, you may daydream of sitting at a fancy restaurant and ordering effortlessly off the menu while talking to your waiter. Or you may image approaching a stranger on the street and not only asking for directions but understanding where you need to go. You might even picture a dinner party where you communicate without pause to your new friends in their native tongue. Most people believe that the key to accomplishing any of these tasks is fluency, but fluency is a little more complicated than that. So, what is fluency and how can you demonstrate it? And most importantly, how can you achieve fluency in German or any other language? How Is Language Ability Categorized? Before getting into what fluency is, we need to understand how organizations classify language learning. The truth is that there are a lot of different ways to classify language learning, but it generally happens on a scale with beginner, intermediate, and advanced categories. Most people in the Western world gravitate towards the Common European Framework of Reference (CEFR). It’s not the only one, but it’s the one that’s most often cited when discussing foreign language learning. Where is fluency on this chart? Well, most people who are unfamiliar with language acquisition would say that C level, preferably C2, would be fluent. However, that is incorrect. Fluency generally rests around B2, and there’s a reason for that. Despite all the debate, if you look at language learning on a scale, then fluency is towards the end of the spectrum. However, this doesn’t mean that you need to be near native to speak. Those who talk at the C1/C2 level have high precision, near-native level of language ability. These are people who communicate effortlessly in a second language often in a business or academic setting where accuracy matters in communication. But this is well beyond fluency. Fluency (and again, it depends on who you ask) generally means the ability to communicate fluidly, or without switching back to your native language. When you’re fluent, you can often think in your target language while talking to native speakers without returning to your mother tongue to communicate. This means that the people you talk to will be able to understand you, even though they may have adjust their language. When conversing with a native, for example, instead of saying, “I needed to wake up early this morning to prepare for work,” you’d say something like, “I wake in morning early before get to work.” There may be places where the language breaks, and you have to substitute general nouns and verbs (I make bathroom; I get things) instead of utilizing more complex vocabulary. In fact, you can be fluent without an extensive vocabulary. This point needs emphasizing: vocabulary and fluency are not the same. Many people mistake this. Free apps like Duolingo and typical classroom settings feel like they are successful because they train people to recognize words and develop vocabulary. However, when these people travel to foreign countries to speak with locals, they find they have an immense vocabulary, but can’t put the words together to communicate. The key to fluency is understanding high-frequency words and phrases. When people generally talk, it’s mostly about benign topics, how was work, how was the weather, how are you feeling. These words and phrases pop up over and over again. Knowing these common words and phrases is your first step towards achieving fluency. A great way to help with this is if you’re studying German for instance, to pick up a German language book and look for common phrases. Once you have a firm grasp of those, you can intermix them to expand your ability to communicate. And even though you’re not near-native, your audience will be able to understand you. The short answer is yes, it is possible for anyone to achieve fluency. 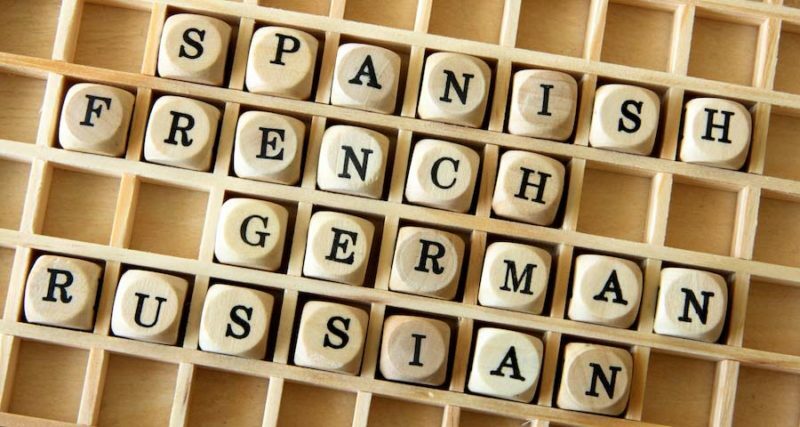 Confusing language mastery with fluency often leads people to mistakenly believe that it’s impossible to achieve that level of familiarity with a foreign language. However, with practice over time, anyone can become fluent. Create a Plan: Organize your day to have regular study sessions with goals. Be Patient: Realize that learning a language takes time. It doesn’t happen overnight. Become an Independent Learner: The more proactive you are about the language learning process, the quicker you’ll achieve success. Remember: Fluency Is a Spectrum: Even though you won’t become fluent right away, each day you spend studying moves you further towards your goal. Practice: The more you use your target language, the easier it will be to recall it, and the more fluid your conversations will be. Remain Dedicated: It will not always be easy. There are several obstacles on the way to achieving fluency, but stick with it, push through the hard times, and you’ll see success. You need the right mindset to learn a language. Without your inner voice pushing you forward and cheering you on, you will fail. You need to remember why you are learning a foreign language in the first place. This will push you through the more difficult times. Most importantly, you need the proper resources. If you want to learn German, for instance, then you need to find the best German language program for you. Pick materials aimed to support your interests and develop fluency. And continue to seek out other strategies designed to promote success. By adopting more skills like these in your efforts to learn your target language, you’ll be able to make regular progress to your language goals.